A compost tumbler is the perfect addition to your garden as it eases the work of turning a compost pile. Without a compost tumbler, turning the compost pile is often performed manually with a pitchfork. However, with a compost tumbler, the composting process becomes faster by promoting better aeration and initiating microbial activity to breakdown food and garden scraps. Moreover, a compost tumbler is a neat and attractive gardening tool for city and rural areas. A compost tumbler is a sealed container that rotates to turn and mix the compost pile. Unlike a compost bin, a compost tumbler is designed to keep rodents and animals away and eradicate the foul odors of decomposing materials. With increasing numbers of people gardening, it is not surprising that composting tumblers have increased in popularity as well. Here are some of the reviews of compost tumblers which we think are the best options on the market right now. 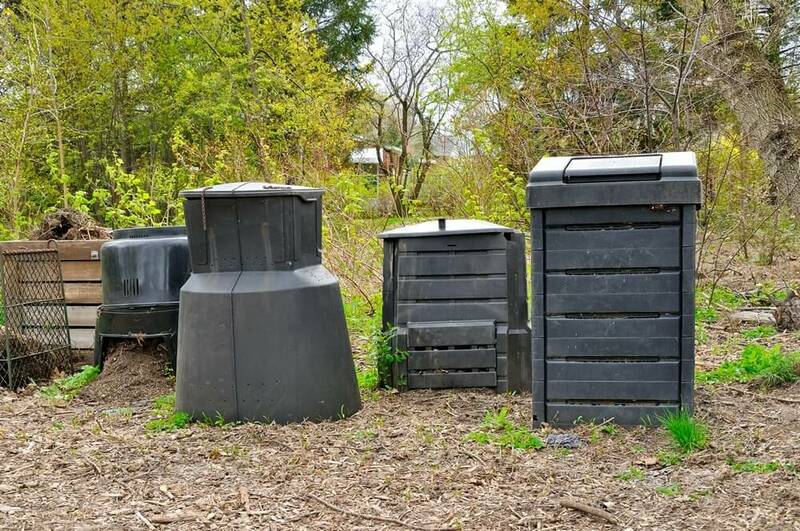 This dual-bin composter has two chambers that enables you to add new compost materials to one bin while the contents of the other bin is decomposing. Because the Jora JK270 Composter is very well insulated, compost can be produced in as little as two weeks. With its large capacity of 9.5 cubic feet, this composter is large enough to meet the needs of a large family. Operation is simple; you only need to rotate the bin. Its enclosed design will keep rodents away and minimizes odors. The greatest benefit of the Jora JK270 Composter is that you can load everything in it. Even meat can be converted into nutrient-rich compost. Heat hastens the decomposition process. On the downside this dual-bin composter costs more than traditional single-bin models. Nonetheless, it is a great investment because it comes with two bins and composts fresh materials fast. Moreover, its construction is sturdy and the galvanized steel used is proven to be rust-free and can last for years. 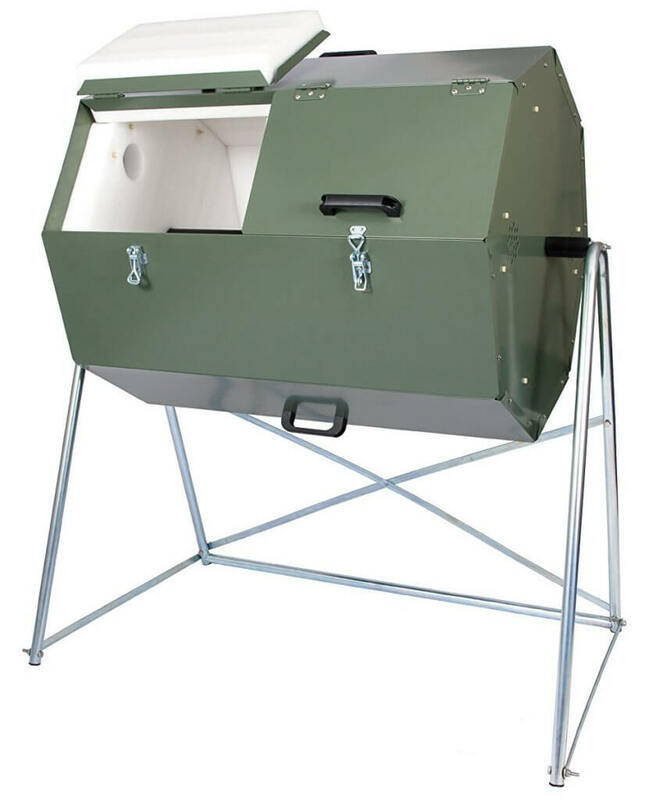 This composter has two chambers which can compost fresh materials simultaneously. In just a matter of two weeks, you can have compost for all your gardening needs. To turn it, use the built-in hand holds. This rotating feature speeds up the composting process while the adjustable vents promote better airflow. You can also catch the compost tea drippings from the air holes with a bucket. Before you can use the Yimby Tumbler Composter, you will need to assemble it, but it is intuitively designed so that anyone can do it by following the enclosed directions. The downside is that it has no lock so before you turn the tumbler, you must ensure that the chamber is closed properly. There might be instances where pests might be attracted to the composter and the compost may smell foul. You can remedy this by adding more brown leaves to cover the smell of decaying food materials. 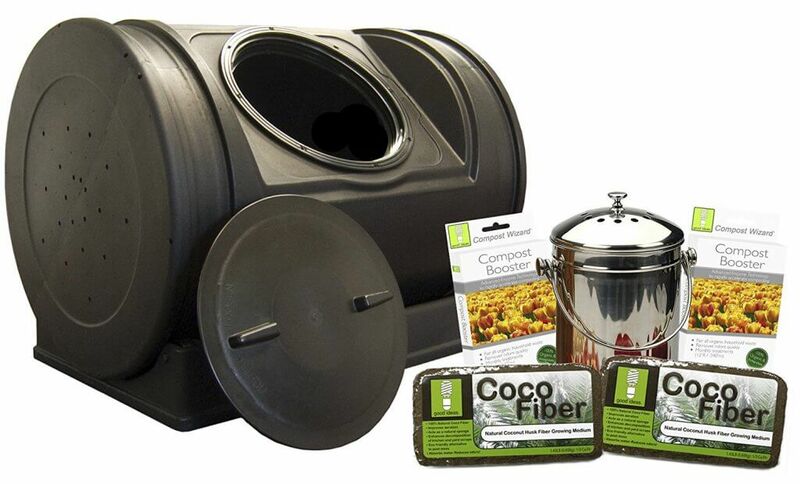 Overall, this composter is a great start for small families who want to begin composting. This compost tumbler is preassembled making it easier to get started right away. It also needs little maintenance because you only need to turn it once per week, and you can collect rich compost in as little as two weeks. The aeration holes on the EZ Compost Wizard Jr. Compost Tumbler promote better airflow which speeds up the composting process. Four small wheels are installed on top of the base which makes the drum easy to rotate. You can also take the drum off its base and roll it over to the area of your garden where you want to use the compost making it easier to spread. Although this tumbler is a bit more expensive than other models, this is an ideal option for small areas like balconies and porches. The tumbler is made with durable materials which guarantees it will last for a long time. However, it tends to be difficult to turn when it is full, but you can easily solve this by making sure that you balance the amount of fresh materials with dry leaves. Nonetheless, this is a great space saver for your small garden. This tumbling composter can create compost in as little as three weeks. Its frame is made of durable galvanized steel. The composter can be assembled easily. The latching dual lids enable you to load and unload compost easily. Given its affordable price, you may be surprised by its sturdy design. Its brown color goes well in any garden while its resin construction makes it last for very long time. 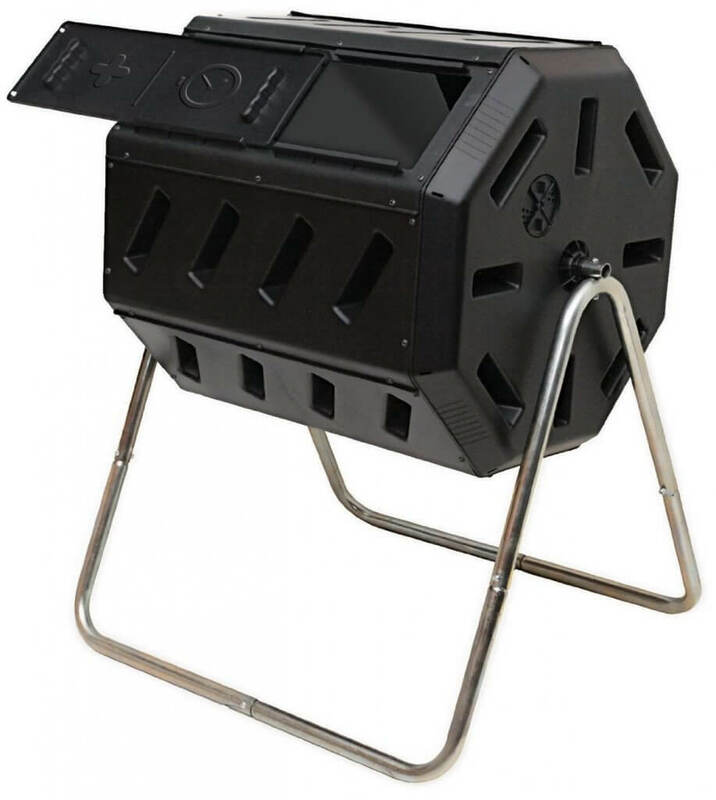 One of the advantage of the Suncast TCB6800 Tumbling Composter is that it is lightweight which makes it portable. It is also easy to load fresh materials. 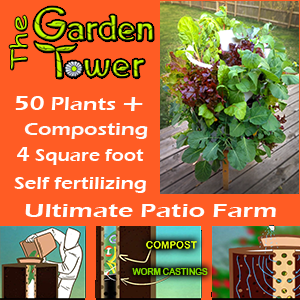 More importantly, it can produce compost quickly. 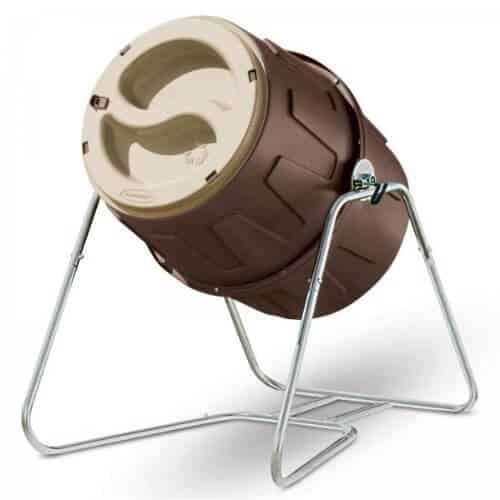 This tumbling composter will be a great addition to your yard and garden thanks to its affordability and sturdy design.